“Consciousness creates reality.” This statement has changed the scientific and medical landscape, and alternative media outlets around the world have and continue to explore its meaning and implications for out future. Countless scientists study this idea and how it might be correlated with the nature of our reality. Consciousness includes a number of things. It’s how we perceive our world, it’s our thoughts and intentions, it’s being aware, and so more. The notion that “consciousness creates reality” raises so many questions. Does this mean we as individuals (and on a collective level, as one human race) can shape and create whatever reality we’d like for ourselves? Does it mean we can manifest a certain lifestyle, and attract certain experiences? Does it happen instantly? Does it take time? How do we do it? Pioneering physicist Sir James Jeans wrote: “The stream of knowledge is heading toward a non-mechanical reality; the universe begins to look more like a great thought than like a great machine. Mind no longer appears to be an accidental intruder into the realm of matter, we ought rather hail it as the creator and governor of the realm of matter. Get over it, and accept the inarguable conclusion. 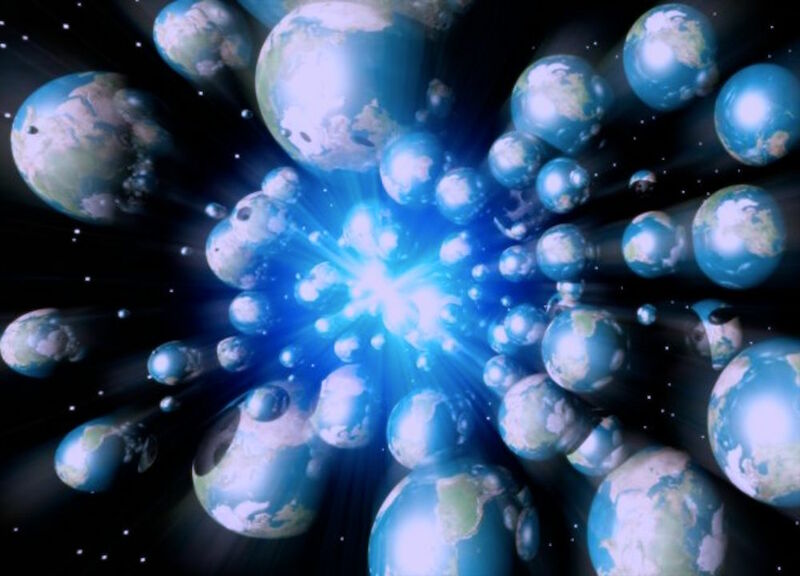 The universe is immaterial-mental and spiritual. The quantum double slit experiment is one way we can see how consciousness affects the physical material world. One potential revelation of this experience is that “the observer creates the reality.” A paper published in the peer-reviewed journal Physics Essays by Dean Radin, PhD, explains how this experiment has been used multiple times to explore the role of consciousness in shaping the nature of physical reality. In this experiment, scientists use a double-slit optical system to test the possible role of consciousness in the collapse of the quantum wave-function. They had predicted the ratio of the interference pattern’s double slit spectral power to its single slit spectral power would decrease when attention was focused toward the double slit as compared to away from it, yet instead foundthat factors associated with consciousness “significantly” correlated in predicted ways with perturbations in the double slit interference pattern. In other words, scientists affected the results of the experiment just by observing it. Below is a video demonstration from the film What The Bleep Do We Know. Other examples we’ve written about include government sponsored psychokinesis experiments, the global consciousness experiment, intelligence agency remote viewing experiments, thoughts and intentions altering the structure of water, the placebo effect, teleportation studies, and more. You can find more details about those specific experiments here. Modern day science, especially quantum physics, has been catching up to ancient mysticism and concepts deeply ingrained in various cultures throughout the ancient world. One great example of this is the fact that everything is energy, and nothing is solid. You can read more about that here. A great example of quantum physics meeting ancient wisdom can be seen in the fact that Nikola Tesla was influenced by Vedic philosophy when pondering his ideas of zero point energy. You can read more about that here. If we look at the world and examine it on a collective level, what do we see? How do we perceive it? Right now, the masses believe a ‘normal life’ means going to school, paying bills, raising a family, and finding a ‘job’ within the current paradigm to support yourself. Many people on the planet are not resonating with this experience, however. They want change. We’ve been repeating and perceiving our reality this way for a very long time, as though we are drones trained to accept things the way they are; to not question what is happening in our world and to continue on with the status quo, only caring for ourselves and our own lives. As Noam Chomsky would say, our consent has been manufactured. If we continue down this path and continue to perceive and view reality as “this is just the way it is,” we will, in essence, prolong that type of existence and experience for the human race without ever changing it. In order to create and manifest a new reality for ourselves, our thought patterns and the way we perceive reality must change. What changes the way we perceive reality? Information. When new information emerges it changes the way we look at things and, as a result, our reality changes too, and we begin to manifest a new experience and open our minds to a broader view of reality. What’s also important about teachings from new physics is that, if consciousness creates reality, that means change starts within. It starts with the way in which we are observing the outer world from our inner world. This touches on the earlier point of how we perceive our reality. Our perception of the external world might very well be a reflection of our inner world, our inner state of being. So ask yourself, are you happy? Are you observing, perceiving, and acting from a place of love? Or from a place of hate or anger? All of these factors are associated with our consciousness and observation; the one (or the many) who are doing the “observing” might significantly impact the type of physical world the human race manifests for itself. I believe that the human race is in the process of waking up to a number of different things at once, and as a result, the way we perceive and “observe” the world around us (on a mass scale) is shifting drastically. So if you want to help change the world, change the way you look at things, and the things you look at will change. Lord Kelvin made this statement in 1900, and was proven wrong only five years later when Einstein published his paper on special relativity. The new theories proposed by Einstein challenged the current framework of understanding and forced the scientific community to consider new ideas about our world. This stands as a great example of how things that once were regarded as truth can and do change.